A hen weekend with your best friends can be fun and memorable without being expensive. The stress and cost of planning a wedding do take their toll. When it's time to get away from it all, head to Bristol! The city has waterfront, hotels, clubs and spas that are affordable. 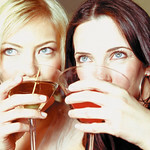 Bristol is a popular destination for hen parties because it is affordable and yet has so much fun activities to offer. Nightclubs in Bristol are particularly popular. Remember, there is no need to break the bank. All you need are your friends, your sense of fun and adventure and an understanding that being on a budget should not stop you from having an awesome time. Remember when you were younger and sleepovers were a lot of fun for you and your girlfriends? This hen weekend could be a throwback to that time! You and your friends will be staying in multi-share rooms so you'll have all the time in the world to gossip, catch up and share secrets. If this is not for you, then just have a chat with us and we can offer you options on room arrangements. We can easily offer you choices on room upgrades. When it comes to Nightclubs, the sooner you're in, the more time you have to enjoy the music and start dancing! This is why on both nights, we will add you to the Nightclub's Guest List so you get to go in without wasting your time standing outside! With your names on the list, the minute you show up, you're whisked in inside. Dance with the girls and let it all out! This is your chance! Please call to customise your package. We're here to help you with upgrades and in planning your perfect hen weekend. Prices may vary depending on dates.